Lightly grease the griddle with cooking spray or use butter. 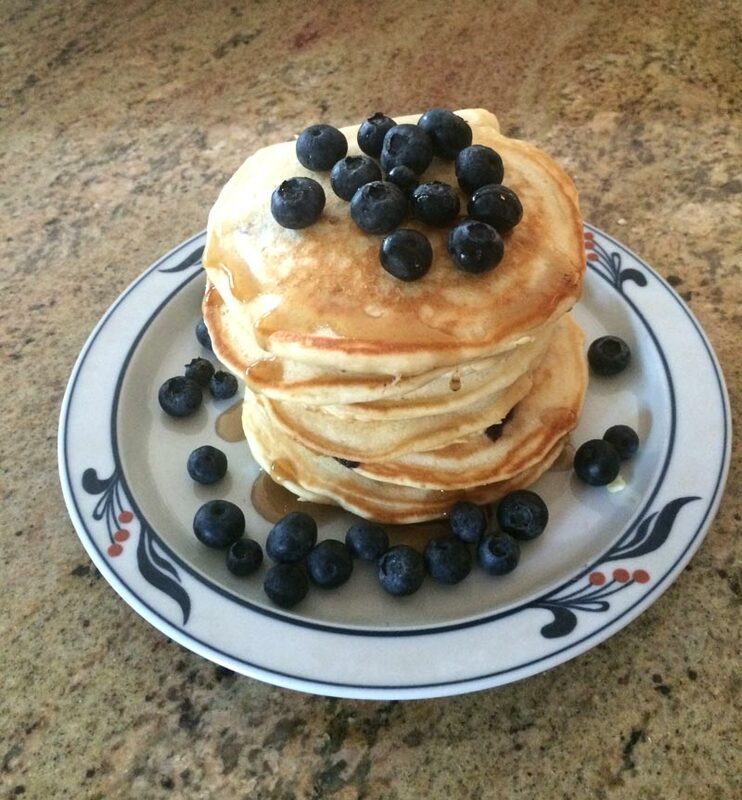 Pour about ¼ cup of batter onto the griddle and then add about 6 blueberries to the ‘cakes’ on the griddle. Cook until the bubbles break and turn the pancake, cooking for about one more minute. Serve with butter and maple syrup; Yum! Variations: Pancake can be cooked plain without fruit or may want to substitute blueberries for bananas, pecans, peaches or anything else you’d like.